Can a Universe Create Itself Out of Nothing? Economist Robin Hanson’s new book “The Age of Em: Work, Love and Life when Robots Rule the Earth” imagines a not-too-distant future when robots are commonplace in our life. And the smartest of these will be “ems,” or brain emulations. These will be super-detailed scans of actual human brains that run as models on computers. And once we figure out how to pull that off cheaply, ems will take over most human jobs. The advantage ems will have is that they’ll be running 1,000 times faster than an actual human brain. You’ll also be able to copy them. Wouldn’t you rather scan and duplicate the brain of a Stephen Hawking and have that em do almost everything? The moment when ems will take over is similar to the singularity famously proposed by the futurist Ray Kurzweil. 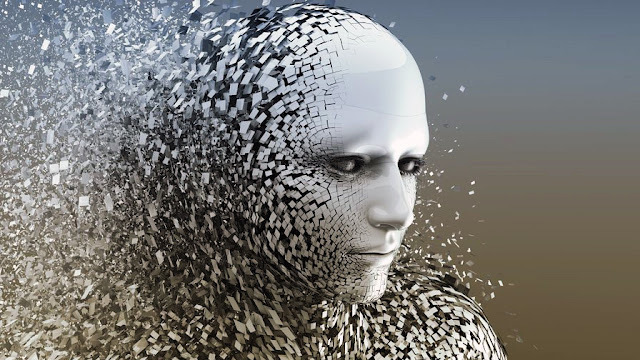 But Hanson thinks a brain em will come in the next 100 years, sooner than self-aware AI because they will be recreations of brains rather than harder-to-create brain consciousnesses. Brain ems can come as a culmination of the technology we already employ, like brain scans and models. One day we’ll just know everything there is to know about brains and will be able to get computers to mimic them. And once that happens, ems will “basically beat humans at being more cost effective at all jobs,” says Hanson In an interview with Business Insider. The Industrial Age will end and the Age of Ems will begin. Emulations will perform most of their tasks in virtual reality, and for physical jobs like factory work they will have some specialized “bodies”. Ems will be functioning creatures that will develop and live in the same world as humans but will eventually develop their own civilization. Once ems will be doing most of our jobs, humans will have to create a new civilization for themselves. Hanson imagines ems will be congregating in a few megacities full of technology, while the humans will live essentially retired in suburbs. The ems will be running all the businesses and government. The rest of the people will generally not work, especially if they managed to make good investments or have government or corporate insurance. Some will financially benefit from being the originals whose brain scans were used to create ems. Interestingly, the descendants of the original human or “copies” will together be called a “clan”. There will, of course, be many left behind. “If there are rich humans who just get a thrill out of hiring real human waiters or ... even real human prostitutes, perhaps, then those jobs might be done by human,” Hanson says. Still, Hanson doesn’t see the future as gloomy. The Age of Ems will come, but will eventually be replaced by something perhaps even stranger. From the human perspective, the Age of Ems will be an end result of the current, generally positive trajectory. “People have seen consistent trends not only to individual wealth, but also towards more democracy, less slavery, more leisure, more promiscuity, less religion. In other words, the world is getting better. There’ve always been people telling you the world’s getting worse. Objectively, it’s less true today,” proposed Hanson. Hanson doesn’t see a Terminator-like scenario with Skynet attempting to exterminate humanity. He sees ems to behave more like giant corporations that will grow within legal means. Robin Hanson is an AI veteran, with 9 years of AI research under his belt at Lockheed Martin and NASA. He currently teaches at George Mason University and researches at Oxford University.